The Estes E9-6 engine is single stage rocket engine. This engine is a standard engine designed for flights in rockets weighing less than 340g including the engine. 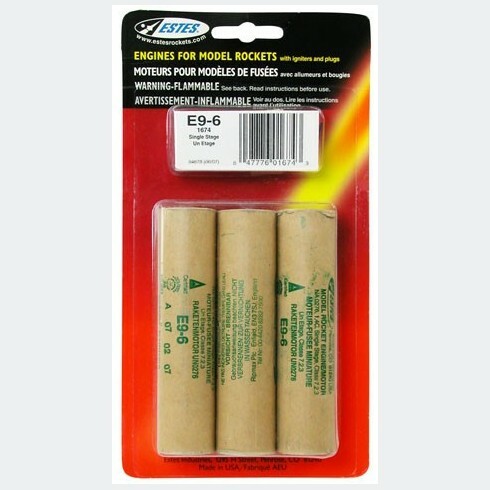 Each package includes 3 engines, 3 igniters with igniter plugs.